The living legend, crazy hair and all, brought his Parliament-Funkadelic posse with him to the Music City back on February 23. Topgolf was their destination. The patrons on the top tier even experienced the funk, as the speakers almost blew the roof off of the building. Back in mid-April, Clinton (the mastermind) announced that he would retire from touring in May of 2019. "It's always been about the music and the band. That's the real P-Funk legacy. They'll still be funkin' long after I stop," said the P-Funk legend. While he grew up in New Jersey, he was born in North Carolina and Clinton's southern heritage still has a striking influence on his work. At the age of 75, Clinton's star is still on the ascendant. "This has been coming a long time," Clinton said in a statement. "Anyone who has been to the shows over the past couple of years has noticed that I've been out front less and less." Clinton recently underwent pacemaker surgery. However, the procedure didn't impact his decision to retire. Clinton is the latest music legend to reveal their retirement from touring in recent months. He follows: Elton John, Paul Simon, Ozzy Osbourne and Lynyrd Skynyrd. In recent years, Clinton has returned to a sharper involvement, intensifying the powers of his posse to an even greater extent, as they feed off his manic enthusiasm. He's slimmer now, imbued with the staying power to stand onstage for most of the set, and is even jumping up and down at key pumpin' junctures of each show. The psychedelic locks are now sheared, and Clinton's dressed like an urbane gangster. He'll take lead vocals on many of the songs, and his voice sounds less raw and hoarse than it did a few years back. Although Clinton plans on retiring from touring, he hinted that the P-Funk brand would continue on without him. 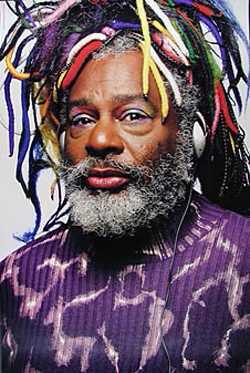 As a major architect of funk, George Clinton deserves a place in music history alongside James Brown and Sly Stone. His work, later remixed and reworked in a string of snatched hip-hop samples, injected inventive energy into the '70s with his albums as leader of the Funkadelic and Parliament outfits. The P-Funk lineup is ever evolving. Different band members do different things and go different places, and come back around eventually. Clinton and Parliament-Funkadelic have over 50 concerts scheduled for the remainder of 2018, including trips through Europe and Japan. Later this year, the Parliament plan on releasing Medicaid Fraud Dog, the funk group's first album in nearly 40 years. The group released its first single 'I'm Gon Make U Sick o' Me' back in January. In an interview with Rolling Stone earlier this year, Clinton touched on Parliament-Funkadelic touring even after his death. "I already made a hologram," Clinton said. "I did it with the whole band. I wanted to give something to my family."